Originally published under the title "The Backlash Industry." The anti-Muslim backlash that U.S. mainstream media and NGOs have been warning about for years has yet to materialize. Addressing the 10th Anniversary celebration of an Islamic advocacy group, Attorney General Loretta Lynch became the latest governmental official to warn of an impending anti-Muslim backlash. In the December 3rd speech, which echoed the admonitions of her predecessor Eric Holder, she took it a step further by vowing to prosecute those who speak or write about Islam in a way that she does not approve. She described her "greatest fear" as "the incredibly disturbing rise of anti-Muslim rhetoric" and vowed to prosecute speech that "edges towards violence." Lynch's hyperbole is in line with fears of an ever-imminent anti-Muslim backlash that much of the media has been warning about since the afternoon of September 11, 2001. Of course the backlash never came. The Attorney General's not-so-veiled assault on free speech and common sense ignores the real assault while instead conjuring up hyperventilated fantasies. In fact, American society has been incredibly tolerant of both Muslims and even Islamists – so much so that rather than focusing on the growing evidence of violent Islamists living among them, the majority of Americans seem more concerned about discomfiting their Muslim neighbors or being labeled Islamophobes. Consider the Redlands, California neighbors of the latest Islamist terrorists who were suspicious of the goings on in the Farook/Malik household but kept it to themselves, fearing the backlash that would befall them were they to be accused of "racial profiling" for speaking up. American society has been incredibly tolerant of Muslims and even Islamists. The history of the looming anti-Muslim backlash that never arrives is instructive. Logically, the original post-9/11 anti-Muslim backlash should have been the largest and most ferocious of the various backlashes, and indeed George W. Bush, members of his administration and members of Congress frequently warned Americans not to blame all Muslims for the acts committed by Al-Qaeda. Even an anti-Israel leftist like Rachel Corrie Award recipient Delinda C. Hanley recognizes that there was no post-9/11 backlash. Writing in the Washington Report on Middle Eastern Affairs, Hanley gushed: "As a result of the effective campaign undertaken by America's leaders, non-governmental organizations and the media, a backlash that, in many nations, might have turned into a bloodbath was averted and, indeed, transformed into a celebration of diversity." The group known as Human Rights Watch however tells a different tale. It documents in the same era a series of attacks amounting to "a nationwide wave of hate crimes against persons and institutions believed to be Arab or Muslim." The numbers are notable either for the "ferocity and extent" as HRW puts it, or for the remarkable calm they convey compared to the predicted carnage. For instance the 17-fold increase in anti-Muslim incidents sounds more alarming than the fact that there were 28 such events in 2000 compared with 481 in 2001. It gets more interesting when one reads that these numbers include behavior ranging from "verbal taunts to employment discrimination to airport profiling to hate crimes." Since no actual numbers are listed for specific "crimes" one might suspect that there are far more verbal taunts than hate crimes among the 481. Only two people have committed murders attributable to post-9/11 anti-Muslim backlash. One rarely-cited statistic that deflates HRW's story is the number two: only two people committed murder attributed to the post-9/11 backlash: Frank Roque and Mark Stroman. Roque is the Arizona man who killed Balbir Singh Sodhi, a Sikh gas station owner, and Stroman is the Texas man who killed Vasudev Patel, a non-Muslim Indian gas station attendant, and Waqar Hasan. In a nation of over 300 million people, only two became murderers after 9/11 as a result of their anti-Muslim rage. After Maj. Nidal Malik Hasan, M.D. went on a shooting spree at Fort Hood, US Army General George Casey told CNN that he was "concerned that this increased speculation could cause a backlash against some of our Muslim soldiers." Worse yet, on NBC after having acknowledged Hasan's attack as a "tragedy" Casey added "if our diversity becomes a casualty, I think that's worse." After the ISIS attacks in Paris on November 13, the media was awash with breathless prognostications about the imminent anti-Muslims backlash: The Atlantic, NPR, The New York Times, The Washington Post, Al Jazeera, The Huffington Post, and many more. 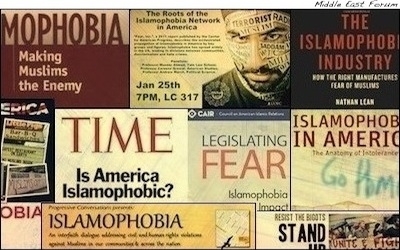 Most Muslim advocacy groups (like CAIR and MPAC) are the prime movers of the backlash myth. In fact, the Attorney General's cautionary speech was given to a group called Muslim Advocates, which describes itself as a "national legal advocacy and educational organization." Her comforting words (to the Muslim audience) and admonition (to everyone else) might have been drawn from the Muslim Advocate's "study" titled "Anti-Muslim Bigotry Rises Alongside Hateful Rhetoric" which, as of this writing, lists 32 events comprising the post-San Bernardino backlash. Many of these purported backlash events are anecdotal. Most of the "assaults" are verbal. Four involve violence against Muslims or people perceived to be Muslims. So while the left continues with its infantilizing condescension towards the American public, it ignores the FBI's own hate crime statistics which tell a different tale: 60.3 percent of all hate crimes in the U.S. are perpetrated against Jews while 13.7 percent are committed against Muslims. The anti-Muslim backlash is a chimera. If the Department of Justice gets its way, the real backlash will befall anyone questioning the received wisdom of the Obama administration and its media supporters.